Ryan Seacrest, Jimmy Kimmel, Kidd Kraddick, Billy Bush, Mancow, Leeza Gibbons, Lex & Terry, Mark & Brian and scores of others in every format. What do these top radio and TV personalities all have in common? They have all been directed and coached by Randy Lane. 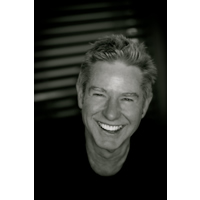 The Randy Lane Company was launched in 1996 with the mission of creating brand depth for radio stations by developing morning shows that generate ratings and revenue. Randy created an innovative method for coaching talent that was inspired by his coaching mentor Timothy Gallwey (Inner Game of Tennis). This method focuses on asking the right questions combined with an honest and ego-preserving way of giving feedback so the talent has ownership of their growth. After ten years of too much fun on the air, Randy brings the perspective of a Program Director at Star 98.7 KYSR Los Angeles (where he created the first successful major Modern AC), Q101 WKQX Chicago and WRQX Washington DC. He has also been a General Manager and has collected numerous industry awards, including Billboard's "Consultant of the Year" for Adult Contemporary and Top 40.